Over the weekend, GM having some work done in his small garden. Specifically, one corner of the garden was being prepped for the planting of a new tree. 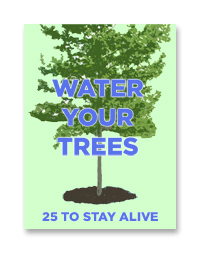 To accomplish this, the soil needed to be cleared of several feet of sand and clay that sat just below the topsoil. In doing so, several interesting artifacts were found. The most interesting find was this chard of china. It appears to be from a small plate. The makers mark is from a company called the International Pottery Company of Trenton, New Jersey (“Trenton makes, the world takes!”). According to this site, this particular mark (with the name Burgess and Campbell appearing on the bottom) started being used sometime around 1879. 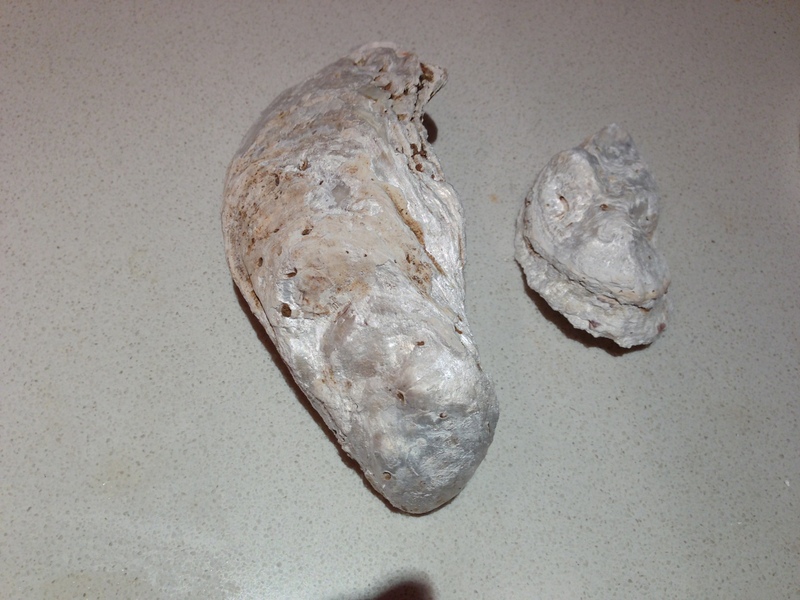 These are two oyster shells. This is apparently very common around Georgetown. People ate a lot of oysters and they simply threw them away in the back yard. 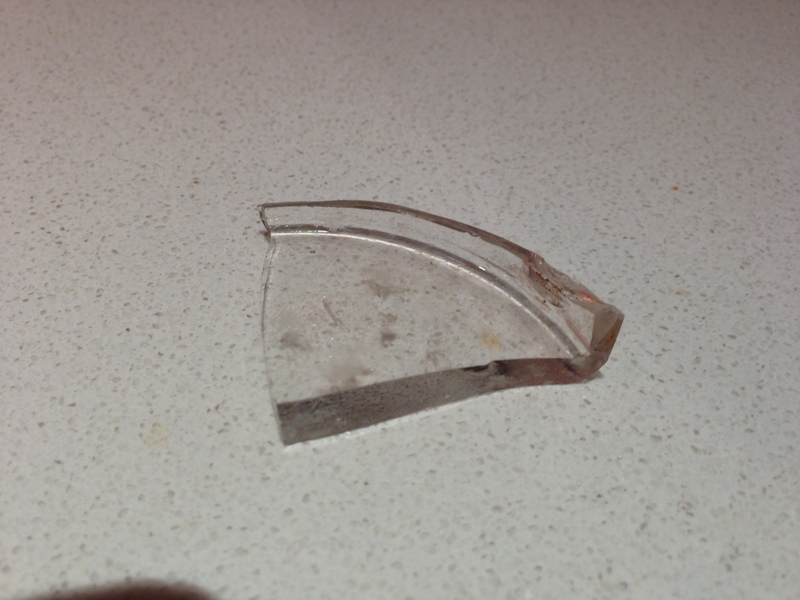 Here’s a shard from the bottom of a glass bottle. 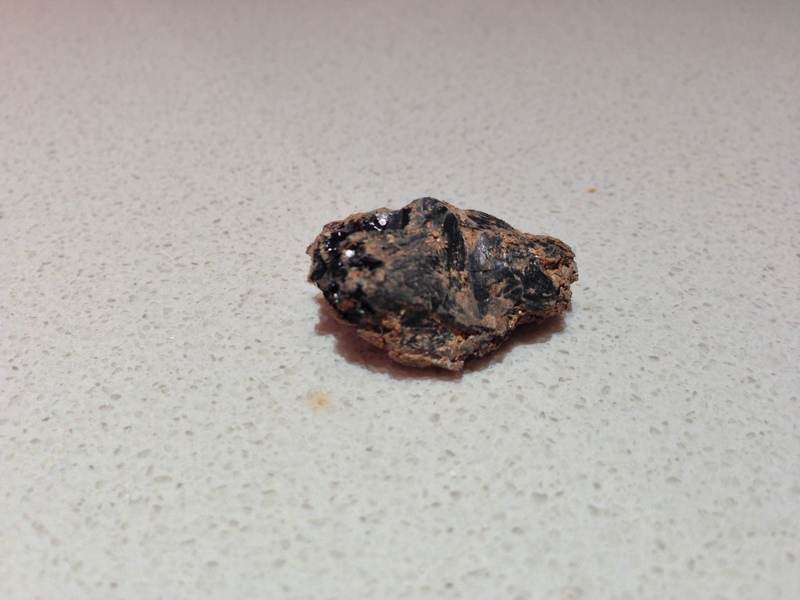 Here’s a small lump of coal left over from when the homeowners heated the house with it. 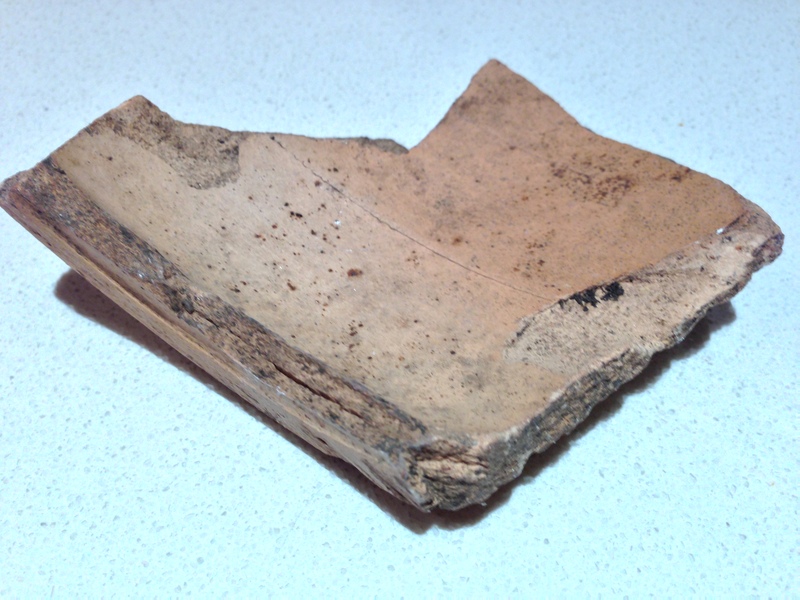 Finally, here’s a shard of pottery. But GM’s not convinced this is particularly old. There are a few straight “creases” on it that suggests more modern manufacturing. So, not exactly King’s Tut Tomb, but still really fascinating to think of these prosaic items just sitting there in the dirt for decades, if not over a century. Nice finds. I am an interloper east of Dupont Circle (I read your entries daily). Much later development of this area but I too have enjoyed finding archeological gems in my garden when I dig, mostly coal but shards of pottery as well. Well, at least you didn’t discover any human remains! Maybe you need to dig deeper for that. Amateur archaeology was a big hit in our back yard for some years. Clay marbles, glass and ceramics, even some old iron bits that could have been a knife or piece of a firearm. Hyde/Addison should still have boxes of artifacts the kids dug before the new playground and Addison were renovated. 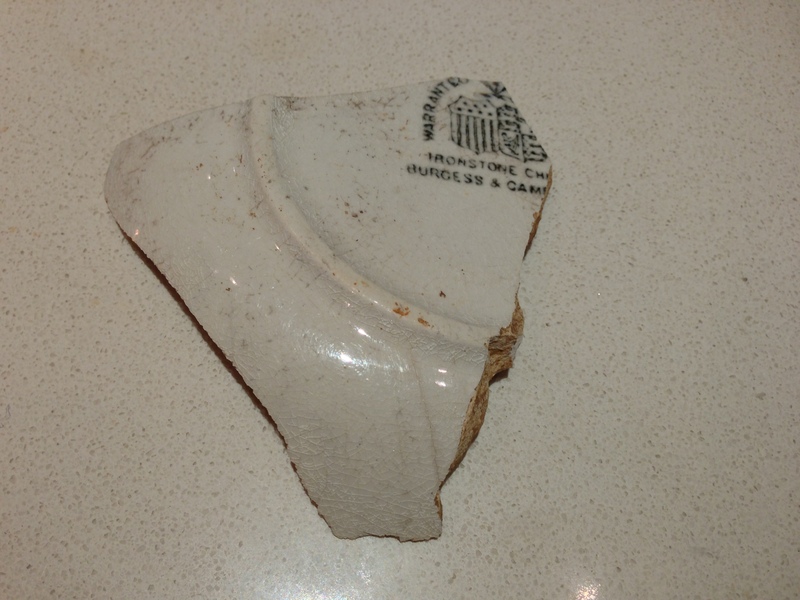 After rain or snowfall, it is pretyy easy to find artifacts in places like Montrose Park or Oak Hill. Kids love to get involved in this kind of history and it is so easy if you live here. Georgetown is a huge dig site! I am digging in my back yard garden on a bluff overlooking the James River in Lynchburg Virginia. I have uncovered tremendous amounts of glass and pottery shards as well as old iron pieces such as door hinges and latches, horse shoes, marbles and giant old stone foundation pieces. What resource can I access to identify the glass shards in particular. I know much of it is rubbish dump stuff but some is very unique. I am a member of the Lynchburg Historic Foundation but need some more opinions about how to identify all this stuff. My property was also a “dump” area over the bluff above the Scott’s Mill Dam so there is an enormous amount of other larger debris. I would appreciate any opinions.